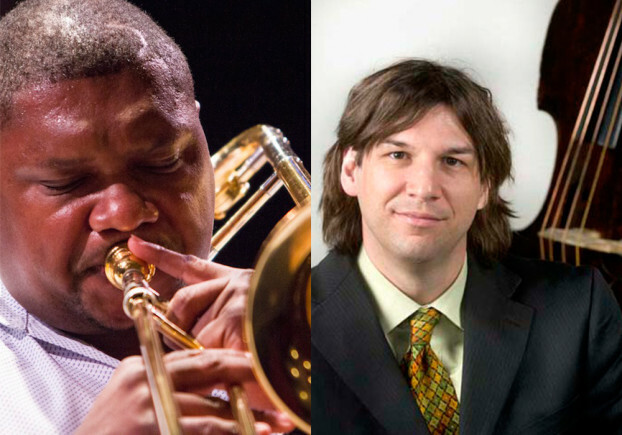 Wycliffe Gordon, left, and Steve Haines, right, will be in Saskatoon teaching, adjudicating, and performing during the Jazz Education Workshop. 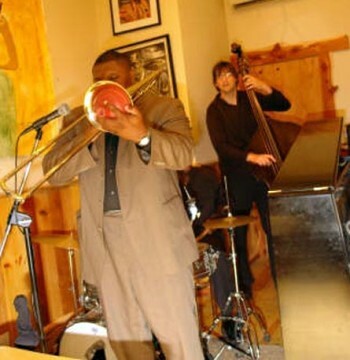 The Saskatoon Jazz Society has wrangled two heavy-hitting jazz educators, trombonist Wycliffe Gordon and bassist Steve Haines, to lead their first Jazz Education Workshop. The two musicians, each with decades of experience as jazz musicians and music educators, will be sharing their wisdom with local musicians keen on tapping into their experience. Wycliffe Gordon, 50, from Waynesboro, Georgia, is a full-on jazz master. His discography includes recordings and performances with Wynton Marsalis, Dizzy Gillespie, Ron Westray and Eric Reed, among others. Steve Haines is a North Carolina-based bassist and music educator. A professor and director of the Miles Davis Program in Jazz Studies at the University of North Carolina at Greensboro, Haines and performed with many big names in jazz. He has worked with Gordon in the past, and tours the world teaching jazz. Thursday and Friday evenings at the Bassment the pair of adjudicators will join the workshop ensembles on stage for a series of sets. On Saturday, Gordon and Haines will team up with Saskatoon artists Brett Balon and Arlan Kopp for a one-hour performance. There was some confusion earlier this week after the last minute announcement that Steve Haines would be stepping in to replace Rodney Whitaker as co-adjudicator next to Gordon. Whitaker, a bassist and Professors of Jazz at Michigan State University, had been slated to be in town for the workshop but apparently he couldn’t make it. Haines filled the position instead. We’re looking into an explanation for Whitaker’s absence.